Succinic acid is one of the most interesting platform chemicals that can be produced in a biorefinery approach. The paper reports the characterization of the growth kinetics of Actinobacillus succinogenes DSM 22257 using glucose as carbon source. Tests were carried out in a continuous bioreactor operated under controlled pH. Under steady-state conditions, the conversion process was characterized in terms of concentration of glucose, cells, acids, and pH. The effects of acid—succinic, acetic, and formic—concentration in the medium on fermentation performance were investigated. The fermentation was interpreted according to several models characterized by substrate and product inhibition. The selected kinetic model of biomass growth and of metabolite production described the microorganism growth rate under a broad interval of operating conditions. Under the investigated operating conditions, results pointed out that: no substrate inhibition was observed; acetic acid did not inhibit the cell growth and succinic acid production. The study was supported by the Ministero dell’Istruzione, delll’Università e della Ricerca project “Development of green technologies for production of BIOchemicals and their use in preparation and industrial application of POLImeric materials from agricultural biomasses cultivated in a sustainable way in Campania Region – BIOPOLIS” PON03PE_00107_1/1. Ferone, M., Ercole, A., Olivieri, G., Salatino, P., & Marzocchella, A. (2018). Continuous succinic acid fermentation by Actinobacillus succinogenes in a packed bed reactor. 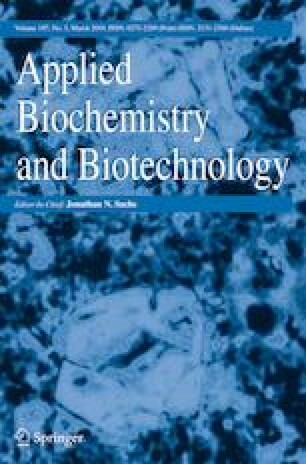 Biotechnology for Biofuels, 11. https://doi.org/10.1186/s13068-018-1143-7.